Get ready to dance the Charleston after a weekend! The Charleston is a big part of the Swing Dance (Lindy Hop). We’ll teach you its classic steps, so that you’ll be able to “glide” over the dance floor to faster tempo after this weekend of fun and sweat. 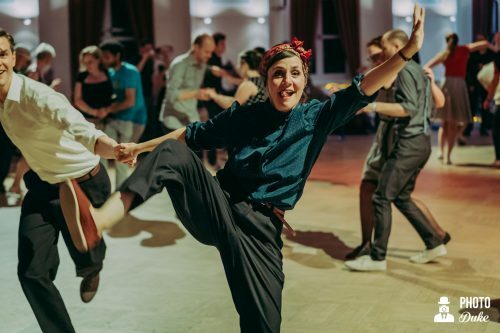 This weekend workshop is equivalent to a 6 weeks course and therefore is perfect for everyone, who has no time for a regular course or simply wants to learn Swing Dancing quickly. Learn to Swing Out after a weekend! 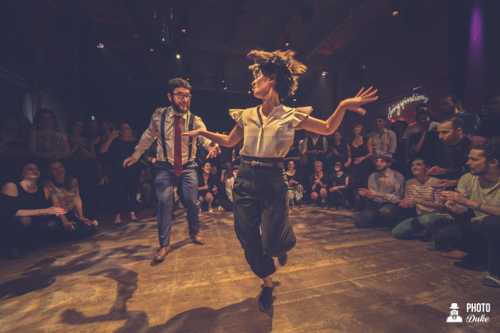 Join the fun of Swing Dancing (Lindy Hop) in this workshop to learn the popular figures of the 8-count Swing and also get to know the most characteristic move of the dance: the Swing Out – the must know move, that defines your “handwriting” and style! Get ready to dance Swing after a weekend! We’ll teach you the classic steps of the 6-count Swing and get you fit for the dance floor. 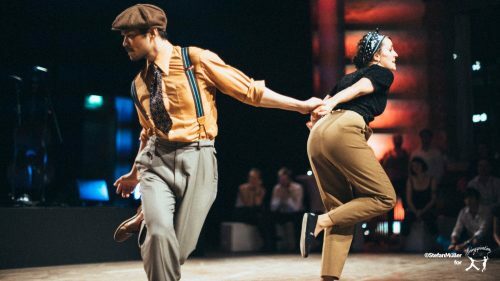 During and after this one weekend workshop you’ll have fun with many new friends and be able to dance to Swing songs of different tempi.